Richard Koci Hernandez is een fotograaf en multimedia producer en onderwijzer. Hij houdt een populair blog bij over multimediajournalistiek onder de naam Multimediashooter. Als fotograaf werkte hij 15 jaar voor de San Jose Mercury News. Daarnaast verschijnt zijn werk in bladen als Time, Newsweek en The New York Times. Koci Hernandez geeft multimedia workshops op verschillende universiteiten, momenteel op Berkeley Graduate School of Journalism. Hij is auteur van het boek Multimediajournal. Richard Koci Hernandez is a photographer and a video and multimediaproducer. His work has been awarded many times. As a photographer he has been working for 15 years for the San Jose Mercury News. His work also appeared in magazines like Time, Newsweek and The New York Times. 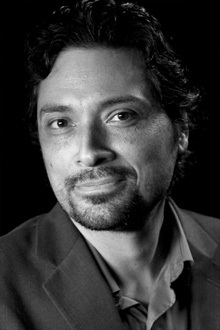 Koci Hernandez teaches multimediaworkshops at different places. Currently he teaches at the Berkely Graduate School of Journalism. He is the author of the book Multimediajournal. His blog Multimediashooter is a very populair and well visited blog on multimedia. Honkytonk Films is using the internet as a place to develop new narrative formats that involve audiences like never before. The rest are using still images, panoramic 360’s and video to construct seamless and visually compelling narratives. All these storytellers are thoughtfully and artfully experimenting with what a story can be.